NUC computers from Logic Supply feature our Hardshell Fanless Technology, enabling powerful, small form factor computing even in the most challenging environments. NUC computers are ideal for space constrained embedded or IoT applications. NUC computers from Logic Supply feature our Hardshell Fanless Technology, enabling powerful, small form factor computing even in the most challenging environments NUC computers are ideal for space constrained embedded or IoT applications. 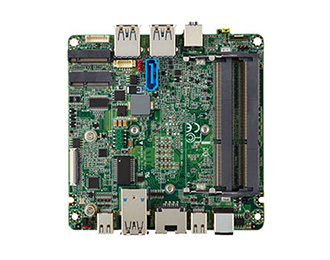 Intel’s Next Unit of Computing (NUC) is an ultra-compact motherboard form factor measuring a mere 4 x 4 inches.